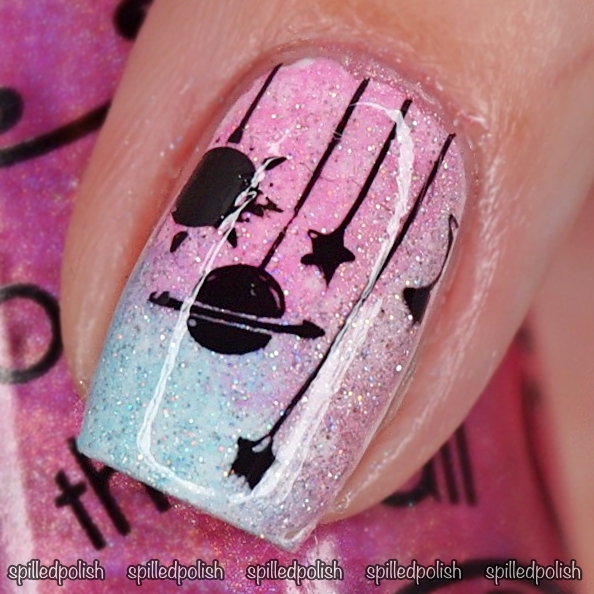 It's day 19 of The 31 Day Nail Art Challenge and today's challenge is Galaxy Nails! I was trying to go for a cute holo pastel themed galaxy mani, but it didn't turn out like I thought. I didn't like how my base turned out, so I decided to stamp over it with a galaxy image to kind of mask the base. I started this mani by painting my nails with one coat of Beyond the Nail - Bright White to get my gradient to stand out better. 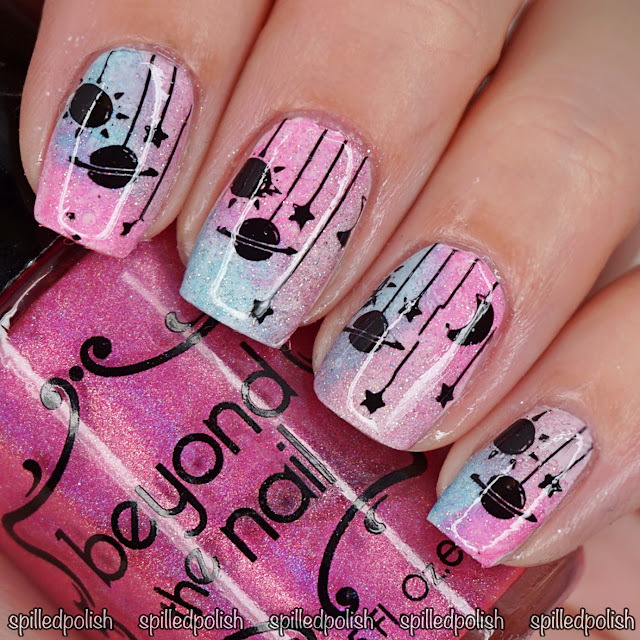 I sponged over each nail with Beyond the Nail's Asteroid, Supernova, & Moonshine. I also added one coat of Beyond the Nail - Scattered Holographic Topcoat to get it extra sparkly. When everything was dry, I stamped over each nail using Bundle Monster Stamping Plate - BM-610 and Beyond the Nail - Deep Black. I topped every nail off with one coat of PRO-FX - Quick Dry Topcoat.